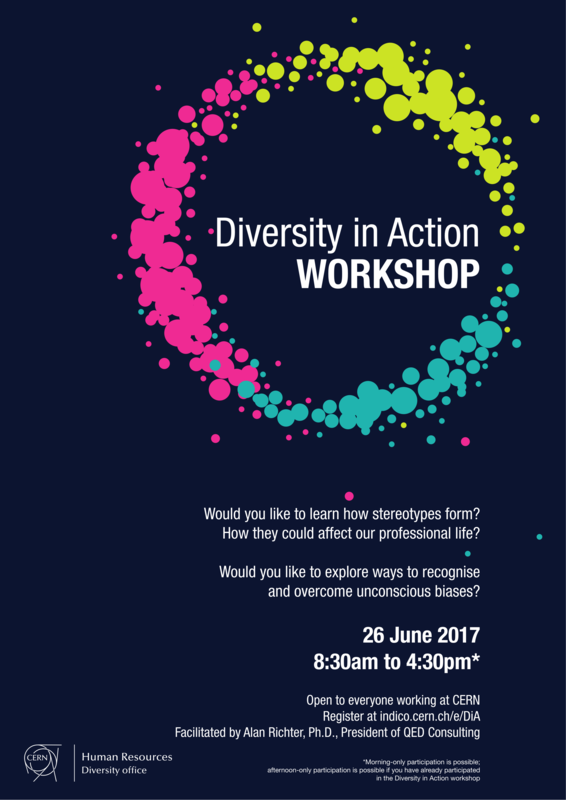 The Diversity in Action Workshop registration is currently closed, due to the limited number of places available. at hr-diversity-info@cern.ch, if you wish to register to the waiting list. *Please note that morning-only participation is possible; afternoon-only participation is possible if you have already participated in the Diversity in Action workshop.